Religious symbolism clashes with the harsh brutalities of a world bent in two by purely evil forces in the drama Prisoners which seeks to frighten, disturb, and wring us out emotionally. The redeeming qualities, however, unleash some terrific acting performances and unsettling suspense throughout a 2 1/2 hour runtime that manages to fly. 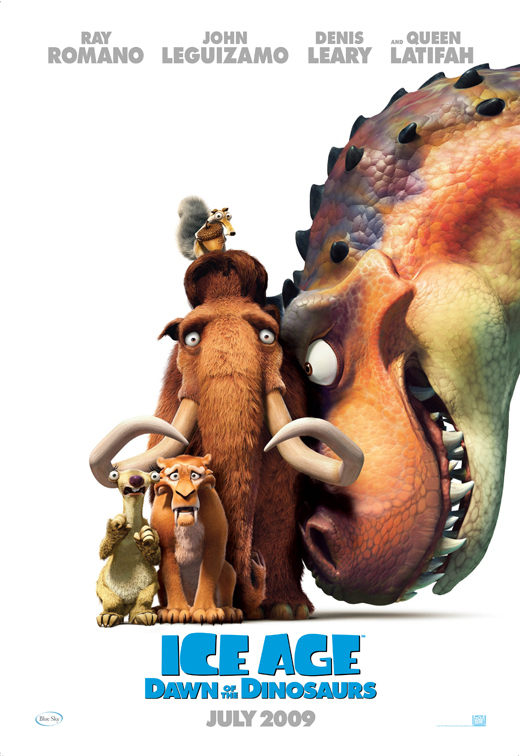 Two missing six-year-old girls from two different suburban families (Hugh Jackman, Maria Bello) – (Terrence Howard, Viola Davis) are the center of an investigation led by Detective Loki (Jake Gyllenhaal). There is only one clear suspect to Keller Dover (Jackman), and that is a mentally challenged, Alex Jones (Paul Dano), whom Keller believes abducted the girls in his RV. Loki, however, can’t find any substantial evidence to support Jones as his man. A spiraling investigation leads Loki and Keller to desperation in their own ways. As each day passes, the girls are certainly closer to death if they aren’t already. 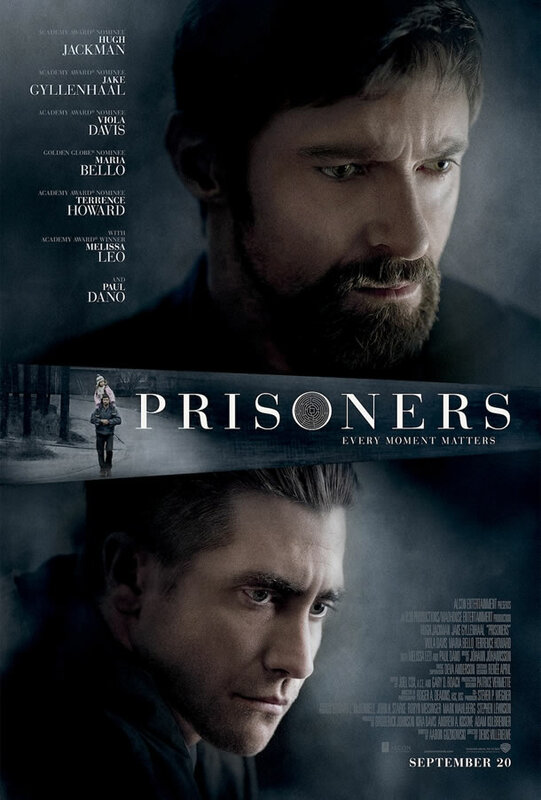 Directed with a great deal of feeling by Denis Villeneuve, Prisoners resists the route of typical revenge actioners and actually heads up the drama in very realistic, albeit overwrought, fashion. The premise manages to carry the film for quite a while leading to a satisfying and physically draining conclusion that answers nearly every question the audience can throw at it. While the film lends itself to being picked apart due to the nature of an unfolding mystery, the picture is held together so well by alarmingly good performances for thinly drawn characters that have little range on paper, yet bloom onscreen. Jackman is the angry autocratic father. Gyllenhaal is the determined investigator. Bello is the weeping wife. None of the characters have lives outside of their predicament. Yet the acting is so very good that I failed to notice it much until further reflection. This is obviously the kind of film gunning for awards attention, and for the most part it deserves it. Jackman and Gyllenhaal especially deliver strong performances worthy of consideration. The film as a whole could be a little tighter, but I would be lying if I didn’t say that I was glued to the screen the entire time, even when I wanted to look away. 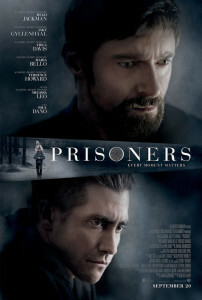 Prisoners is a mostly fascinating drama that delivers a strong hit to the gut. 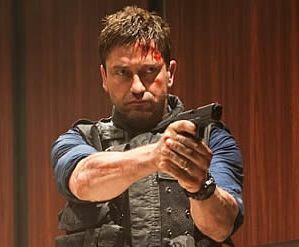 The first of two ‘White House-taken-over-by-terrorists’ flicks this year, Olympus Has Fallen, looks, sounds, and feels exactly like an action-picture relic from 1995, right down to the obvious dialogue and dated special effects. It borrows heavily from genre staples like Die Hard and Air Force One, without ever providing a winning homage to either. Olympus, from Training Day director Antoine Fuqua (who has spent the last 12 years of his career reminding us he made that movie), is heavy on loud banging, but devoid of any and all smarts. Had this movie been made 20 years ago with Sylvester Stallone in the lead role, it might be one of my classic go-to actioners, or at least a passable two hours of commercial-broken cable TV programming. But instead, we are brought to a silly 2013 setting in which North Korean invaders savagely attack the most secure building in the world—and do so rather easily by cinema standards. At least the film is unintentionally timely. 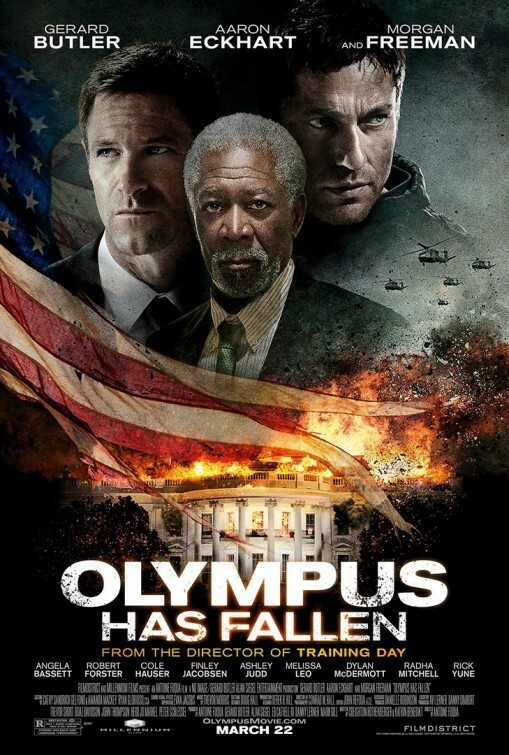 Aaron Eckhart plays the U.S. President whose staff majority and himself are locked away in the lower bunker of the White House with a group of baddies who want to start some good old nuclear war. 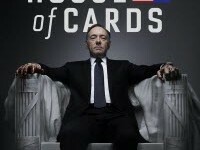 Cue the always reliable Morgan Freeman as the new ‘Acting President’ in negotiation with the terrorists, and Gerard ‘This is Sparta!’ Butler as the one ex-special forces Secret Service agent, Mike Banning, who escapes Korean detection and runs amok killing off henchman in the blown-up and barricaded war zone of the Executive Mansion. I’m actually shocked this idea hadn’t made it to the big screen before now. Soon Roland Emmerich (Independence Day, 2012) will bring his brand of Armageddon-ography to the proceedings with Channing Tatum protecting Jamie Foxx. But for we now we get Fuqua’s efforts which rely heavily on insanely stupid plotting under the guise of enormous and unnecessarily gratuitous action salted with some awkward patriotic propaganda. I wanted to like his movie, but his ‘Die Hard-in-the-White-House’ extravaganza doesn’t hold a candle to the action classics of yore. Butler is serviceable but not great. 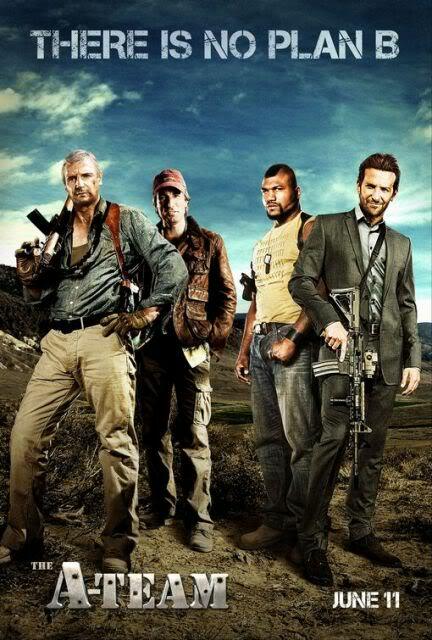 Freeman is always a plus in any movie. But the rest of the cast is wasted, especially Melissa Leo (who is beaten to a pulp and dragged away saying the Pledge of Allegiance—an awkward scene) and Ashley Judd as the first lady who is only given the most uninspired dialogue in her precious screen time. Not to mention every single scene in the film has been done with far more skill and assurance in cinema past. Fuqua’s movie carbon copies some great Die Hard, Speed, Air Force One, etc. moments and can’t up the ante. It can only dumb it down incredibly, ultimately becoming one of the year’s dopiest films as it marches decades past its expiration date. 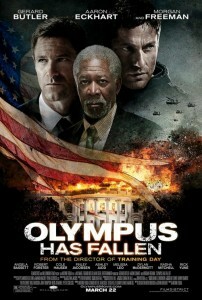 I say skip Olympus and wait to see what Emmerich brings to the table. 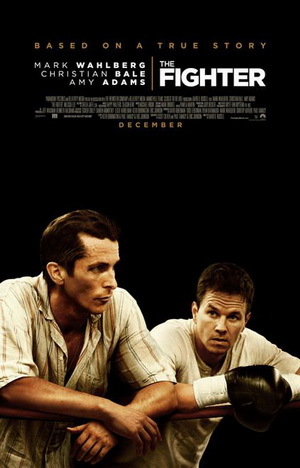 With no shortage of first-class boxing dramas in the last forty years, it seems only fitting that The Fighter join former heavyweight champs Rocky, Raging Bull, Million Dollar Baby, The Hurricane, Cinderella Man, and Ali as a major contender in the ring of motion picture greatness. David O’Russell’s darkly funny and tragic film springs from the ropes this holiday season, boasting some of the year’s standout performances and solidifying its place as a serious contender for award recognition. The Fighter focuses on 1980s Lowell, Massachusetts boxer Micky Ward. Never heard of him? Neither had I. Oscar nominee Mark Wahlberg takes on the role of the 31-year-old small-town fighter whose quest for success in the ring is hindered by the extreme dysfunction of his family. Completely overshadowing him is older half-brother Dicky Eklund (Christian Bale), a former boxer under the weight of a severe drug addiction. He spends his time training Micky and participates in a ‘real-life’ documentary in development by HBO that he thinks is chronicling his big comeback—Dicky did knock Sugar Ray Leonard down once upon a time (or so he believes). Micky’s mother (Melissa Leo) acts as his manager, finding big fights to put her son on the map—fights that nearly land him in a coffin. With her line-up of crazy sisters to back her up, Micky’s mother and most of his family fail to realize how ignorant they are of the man’s own desires and goals. Enter Charlene (Amy Adams), a local bartender who sees potential in Micky and the madness of those closest to him holding him back from greatness. When she begins a relationship with him, Micky starts to understand from an outside perspective just how buried he is and decides to seek out new management and training, a choice that will hopefully lead him to a shot at the Welterweight title. In the process it may cost him the only life he’s ever known and the only family he’s ever had. Luckily Director O’Russell knows not to let The Fighter remain yet another underdog boxing story—it is exactly that to be sure—but the film keeps its eyes fixated on the emotional strings and hardships tied between Micky and his family. This isn’t a movie about ‘boxing’, it’s a film about a boxer and the people enveloping his existence. We follow these characters and believe them wholeheartedly, partly because they are so well-acted, and also partly because they are based on truth. In many ways I can understand the criticism of Micky’s character being completely overshadowed and dull in comparison to the supporting characters around him, but I believe that’s the point of the story. Eventually Charlene becomes exactly what Micky’s family became, and Micky can’t please anybody because no one wants to let him make his own decisions in life. Micky is constantly overlooked and left unheard while everyone else directs his path. Mark Wahlberg captures the stress of his character beat for beat, and because he isn’t portraying a showy and rigorous character as attention-hogging as Bale or Leo, it doesn’t make him any less powerful. Wahlberg’s dedication to the role and to making sure this movie was produced shows clearly. Christian Bale lights a fire hard to extinguish. Once he enters the film from the get-go he dominates his every scene. Bale has been known to be completely consumed by the characters he plays, and he plays Dicky Eklund as though it’s the performance of his career. Again shedding the poundage as he did in The Machinist years back, Bale portrays Dicky as consciously lost as can be. The performance wreaks of despair and hilarity in equal measure, and I mean that as a compliment. Much of The Fighter comes across surprisingly and overwhelmingly darkly comical, but I suppose this is a David O’Russell film. Bale seems perfectly tuned to the tone of the film and is able to deliver a very complex performance that the Academy will be hard pressed to dismiss. And don’t forget about former nominee Melissa Leo as Micky’s dominating, guilt-tripping mother either—she’s as engulfed as Bale and as equally heartbreaking. The Fighter has a lot to say to audiences. It is extremely dark, comical, heartbreaking, gritty, exciting and often painful—a grab-bag of emotional drama. You come away from a movie like this rooting for the protagonist and yet feeling extremely thankful you didn’t endure his situation (or come from a family as dysfunctional as his). Many viewers may be turned away from the harshness of some of the material on display here, but this is Micky’s story and O’Russell serves it up for all it’s worth and delivers a brutal knockout that had me floored.